South Coast Inc. offers professional commercial project management services that is customized to the size and complexity of any given construction development plan. 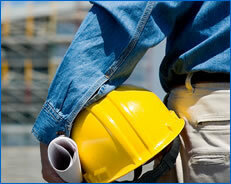 Complex projects usually involves the collaboration of various engineers, designers and contractors. South Coast controls and manages the following activities to ensure timely completion of projects. South Coast Inc engineering and inspection services personnel are experts in monitoring the quality of construction work and documenting the materials, labor and equipment used. With South Coast Inc. acting as your liaison from start to finish, you will feel secure that your project stays within budget and is delivered on time. We offer a full-service approach to our general contractor services – with a commitment to excellence, quality, honesty and safety throughout.